Everyone wants to keep in touch with family and friends when travelling abroad. 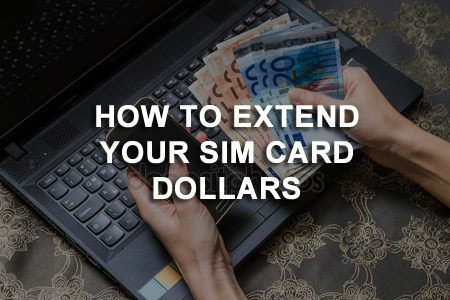 While using an International SIM Card will save you a ton on data roaming and long-distance charges, you can extend your SIM card dollars a bit further by using WiFi calling apps. These internet calling/VOIP apps allows you to make voice calls, video calls and messaging. The drawback of using these apps to make calls is that you require a stable, strong WiFi signal for an uninterrupted call. As well, many of them will also require the other party is on the same network (e.g. both parties need to be on messaging app for the service). Apps that allows you to place calls to a land or mobile telephone number requires you to buy credits. These credits will be drawn down as you make calls to landlines/mobile numbers. If you already have a Wraptel SIM Card, download the Wraptel VoIP/WIFI Calling App from iTunes or Google Play and pay less than the Wraptel calling rate. You can use it to call any landline or mobile phone worldwide. (Please note that the Wraptel VoIP App has been discontinued temporarily. It is on our road map for re-introduction and will be implemented as soon as possible). Calling from France to United States. Price shown in USD. Other great savings include preferred International Long-Distance Rates when calling from home; sharing of the same phone number and voicemails as your Wraptel SIM Card; reduced roaming fees. Click here for more information on our Wraptel VOIP app or visit our FAQ's and select Wraptel VoIP-WIFI Calling App from the dropdown menu for instructions. Forgot your Wraptel SIM Card at home? No worries! Once your Wraptel VoIP/WIFI Calling App is set up, you can use the App to make and receive calls without the Wraptel SIM Card installed.